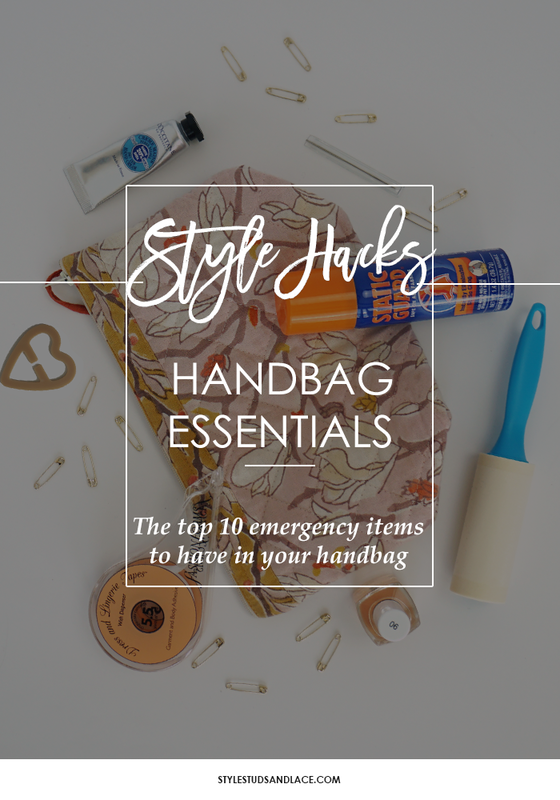 This week has been all about saving time without sacrificing on style so it seems only fitting that I should end the week with a post that shares my top 10 emergency items that I think every woman should carry in her handbag. 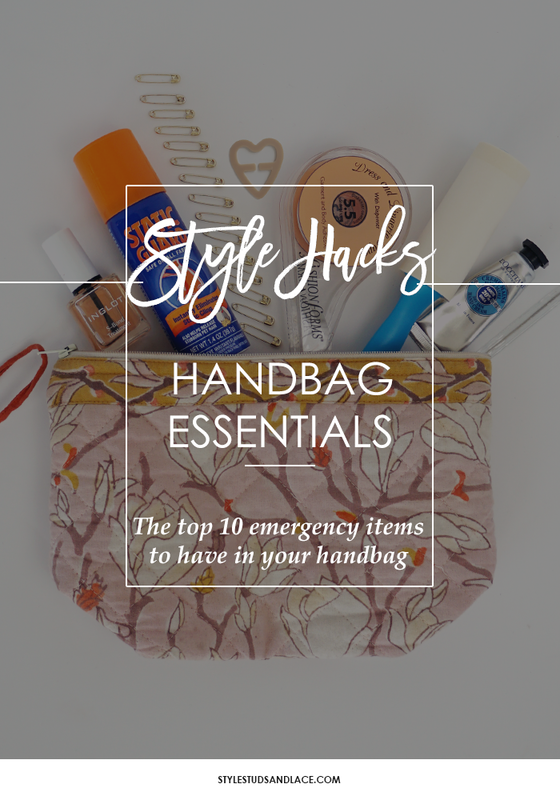 Gaping necklines, clingy fabric, hems that fall, and irritating white deodorant marks on your clothing – all these can be fixed easily if you have these 10 essentials to hand. Most of them are items you’ll already have in your home, but if not then worry not, I’ve linked each item so you can purchase what you don’t have. 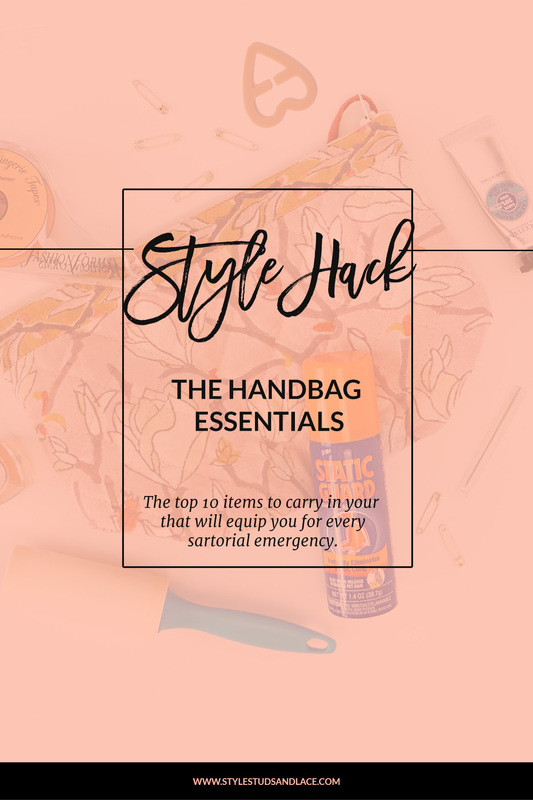 My advice is to pop these items in a little bag, leave it in your handbag and you’ll have everything you need to solve any little sartorial mishap that might occur. Double-sided sticky tape or lingerie tape for straps that keep falling, necklines that gape and hems that need temporarily re-hemming. Safety pins to replace buttons that fall off, pinning gaping necklines shut, and, well, pretty much all over damage control! Bra clips for bra straps that won’t refuse to stay in place. 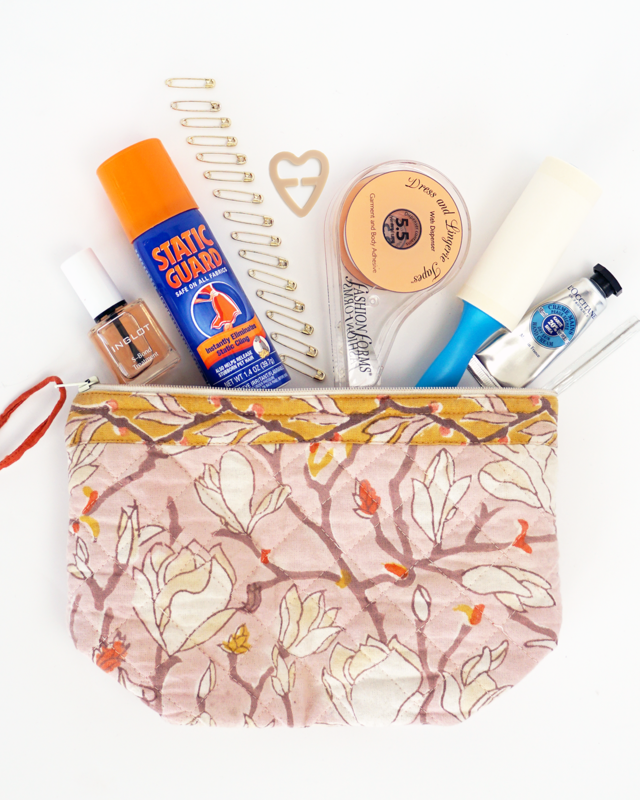 Moisturizer for skirts that cling to tights – squeeze a little into the palm of your hand, rub your hands together and then lightly wipe your hands over your tights. A mini can of anti-static spray for all other items that cling. Blu Tack or Sticky Tack for removing deodorant marks from clothing. Roll the putty into a ball and gently press against the mark to gradually remove. A mini lint roller to get rid of dog/cat hairs and fluff. A snagging needle to pull through snags on knitwear. Clear nail varnish to control ladders in tights – dab a little at each end of the ladder to stop it climbing. A mini tube of Wine Away – if you spill red wine on your clothing, this stuff gets rid of it in an instant! 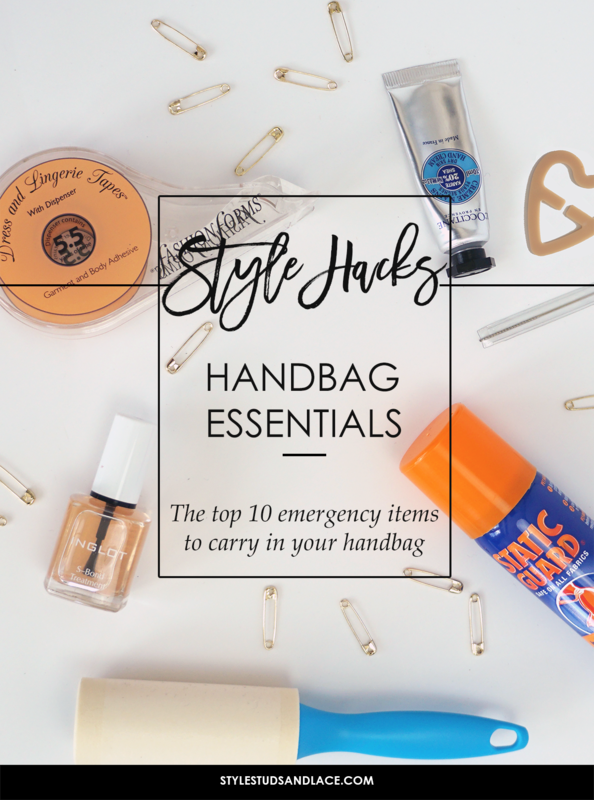 Do you have an essential item that you take with you everywhere you go? Share it with us below! I NOW OFFER VIRTUAL STYLING! Pop your email address in the box to the right & every 2 weeks I’ll share my best styling tips with you every two weeks. I will NEVER sell or share your info with a third party, and each and every email includes an easy unsubscribe so you can stop receiving my emails whenever you choose.